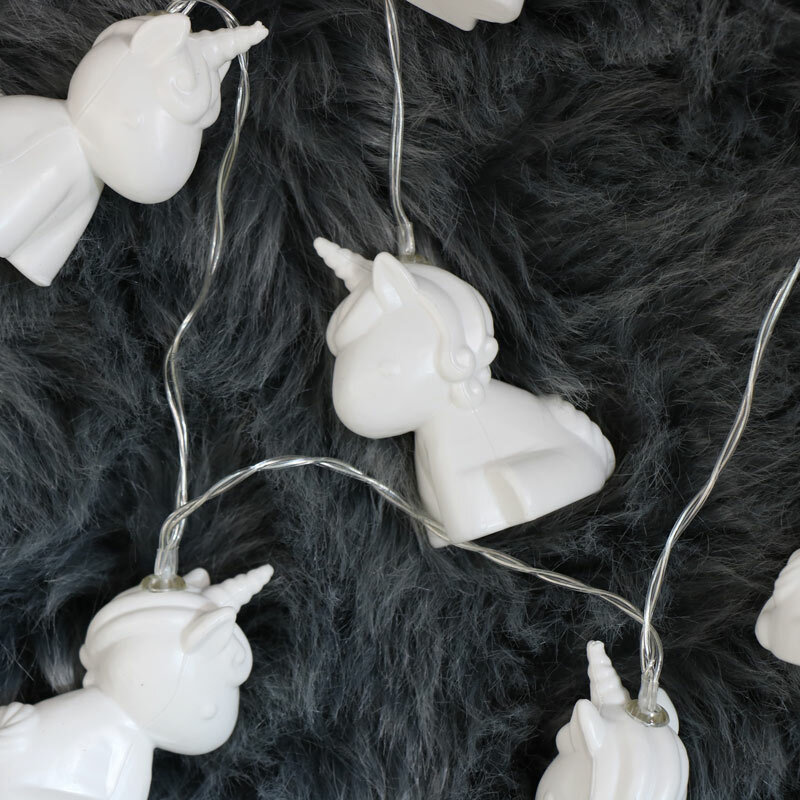 Add some magical sparkle to your home with these adorable unicorn fairy lights. A great idea for fun night lights for children with 10 unicorns on the string. Unicorns are the perfect home accessory for all ages. 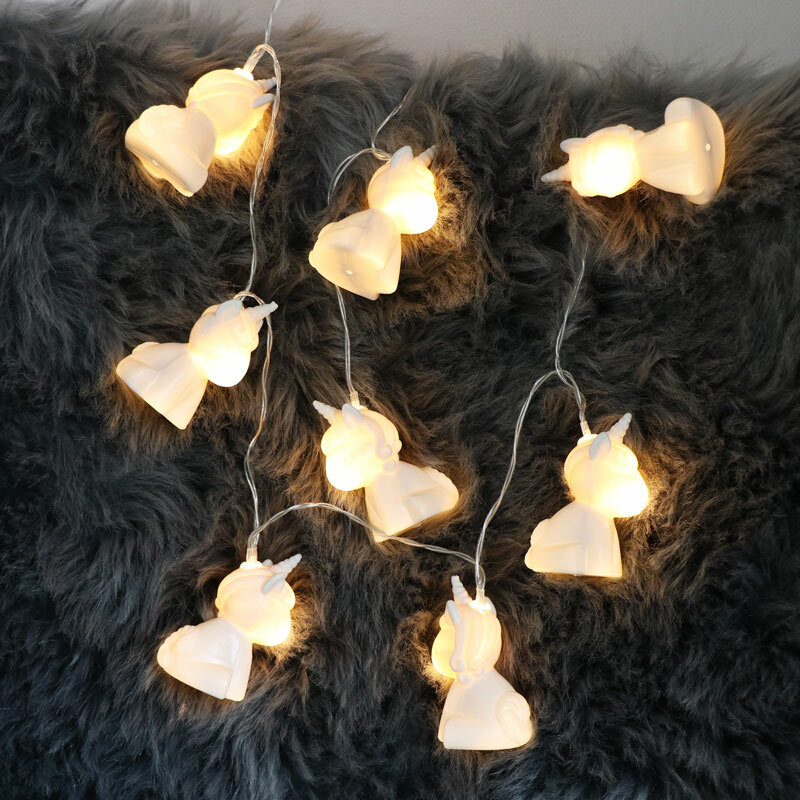 These string lights will add a softly lit glow to a girly bedroom. These will make the perfect gift for unicorn lovers. Add some magical sparkle to your home with these adorable unicorn fairy lights. 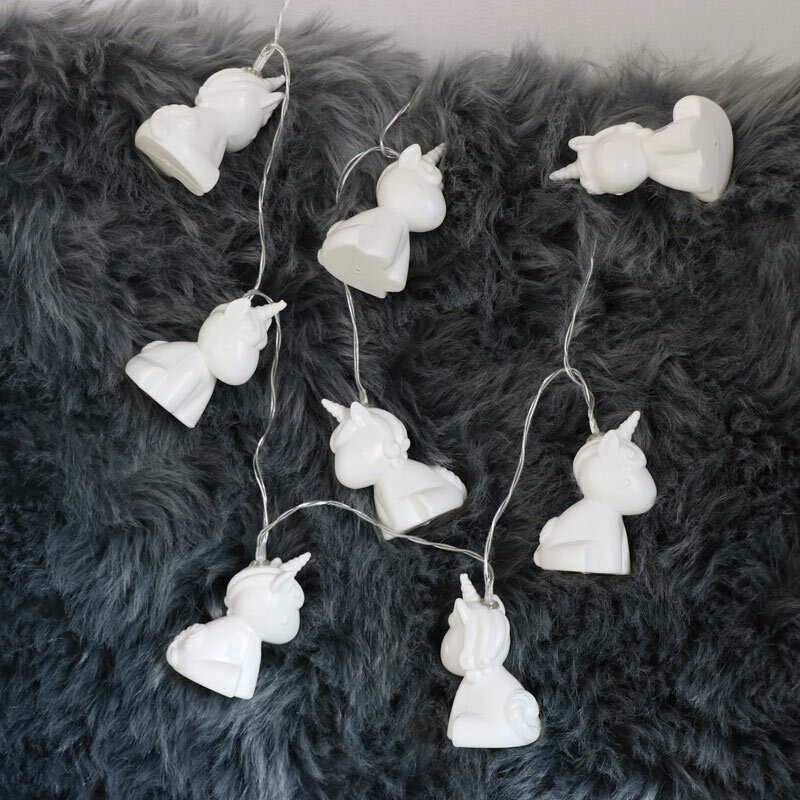 A great idea for fun night lights for children with 10 unicorns on the string. Unicorns are the perfect home accessory for all ages. These string lights will add a softly lit glow to a girly bedroom. These will make the perfect gift for unicorn lovers. Battery operated design with 10 white unicorn lights strung along the length. Takes x2 AA batteries (not included). We have a fantastic range of lights from the conventional to the quirky. Wall lights, ceiling lights and, of course, our string fairy lights. Great gifts at affordable prices for friends and family or simply a treat for yourself!